Winter can be an awesome time of year, especially if you love the snow and all of the activities that go with it. Sledding, skiing, making snow angels and sipping hot cocoa next to a roaring fire just makes it all seem sort of magical. Unfortunately, most homeowners don’t know the importance of taking time to prepare for winter. Caught off-guard, you could end up paying more money for home heating oil delivery in an emergency or end up with higher utility costs for residential heating in Little Compton simply because you weren’t prepared. This article will focus on some useful ideas that you can apply to your home, whether you live in Rhode Island, Massachusetts or anywhere in the northeastern states. When you take time to prepare for winter you are able to enjoy all of the fun things about the season, without having to worry about all of the things that can potentially go wrong. It’s more than just putting up storm windows and making sure the shovel is handy. 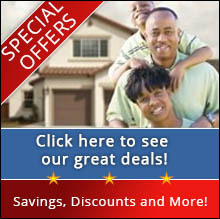 However, most of these ideas are just little things that all add up to overall smarter home ownership as a whole. 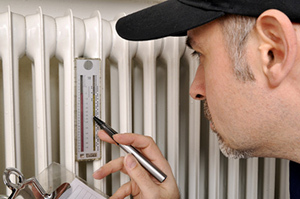 The first thing you should consider when working to prepare for winter is to think about your residential heating. What type of heater do you have? What is your primary fuel source? This article will focus on homeowners who rely on home heating oil delivery to power their heating system, but all HVAC units should be inspected prior to the start of the winter season. Signing up for a residential maintenance program through your fuel provider, such as the one offered at Columbus Energies, can give you peace of mind that everything will run smoothly throughout the cold, winter months. In addition to checking your equipment, you should also sign up for an automatic delivery program for your home heating oil, propane or other home fuel source. Making sure that home heating oil delivery keeps your tank full so you’ll have heat when you need it shouldn’t be weighing on your mind this time of year. An automatic delivery program ensures that you will always have clean, safe fuel for your residential heating in Little Compton whenever you need it. You don’t want to get caught with a low tank in a snow storm. Speaking of snow storms, the northeastern states are known for getting more than their fair share of winter emergencies. It can really pay to prepare for any type of situation by stocking up on drinking water and food that can be prepared without cooking or preparing, that doesn’t require refrigeration. Make sure to have about a gallon of water per person each day. The bare minimum that you should stock is three days’ worth, however recent storms have seen homeowners without power for a week or longer. Water would be needed if your pipes freeze up or if there is something wrong with the public water supply. Only use your stored water for drinking and washing your hands to prevent the spread of germs. Don’t waste it on bathing or washing dishes. With regard to your food supply, prepare for winter by stocking up on at least three days’ worth of non-perishable food items for each person in your household. Have a non-electric can opener on hand to open up canned food items and have instant coffee available if you think you might want a cup of coffee in the morning. If you have a propane gas stove, you will have a means of heating up food and making coffee, even if the power is out. Speak with Columbus Energies about the automatic delivery program for propane gas to find out if it is available in your area and for more information about efficient propane gas-powered appliances. Good items to keep on hand that will help you prepare for winter outside of residential heating in Little Compton include a first aid kit, radio and flashlights. Your first aid kit should include all of the items you need to take care of an injury if you are unable to get help. Adhesive tape, sterile gauze pads, scissors, tweezers, disposable non-latex gloves, antiseptic wipes, bandages, instant ice packs, instant warming packs, a thermometer and an emergency blanket. Over the counter medications, such a fever and pain reducers, cold medicines, sinus medications, antacids and anti-diarrhea medications are a good start. A battery-powered or hand crank radio should also be available. Write down the local stations that will have weather-related emergency radio so you don’t have to waste valuable energy searching for a station. Flashlights are a definite necessity. Make sure to choose a good quality LED light that will be bring enough to see in pitch darkness, should the lights go out. Consider adding an LED battery-powered lantern or two for extra lighting throughout your home, especially if you have three or more persons in your family. If you use home heating oil for your residential heating in Little Compton, RI or anywhere in Southeastern Massachusetts and Rhode Island, contact Columbus Energies. Ask about our automatic delivery program and residential maintenance services that can help you to prepare for winter and have a safe, warmer season. Call Columbus Energies today to find out more about our home heating oil delivery, propane delivery and other essential residential and commercial services.